The story behind this sheep, named Shrek, is he escaped from the farm (ranch?) he was being kept at in New Zealand. He went unfound, and untrimmed, for six years. 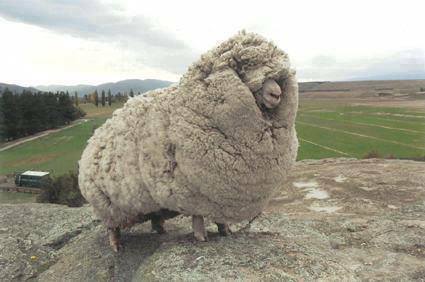 When he was finally found in 2004, he had 60 lbs of wool.